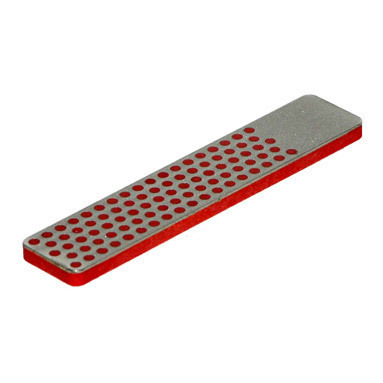 4" Diamond Whetstone with 1" continuous diamond area specially designed with a machinist in mind! With protective leather sheath for easy access. Versatile, light-weight and compact pocket model can be used to sharpen, hone or file any hard material. Versatile, portable sharpener for home or shop use.